Mostly true stories of addiction, heartbreak and travel are the roots of Reverend Justin Hylton’s personal gospel. 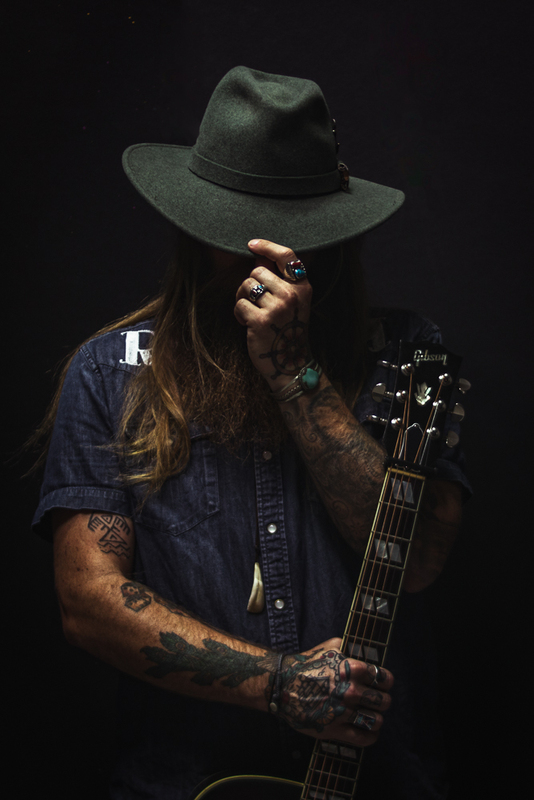 The Americana singer/songwriter is a Georgia native but spends most of his time traveling the country with his guitar and a simple sound reminiscent of a bygone era in the van he has converted into a home. Hylton’s musical journey started in middle school band and choir but quickly progressed. He picked up the guitar in high school, playing classic country and bluegrass tunes alongside his grandfather. It was then that he started writing his own songs. At age 18, wanderlust grabbed Hylton and he took to the road with his guitar. Since returning to the road, Hylton has averaged more than 150 shows a year and enjoys providing his audiences with an intimate experience full of songs recounting his last decade. He also loves to hear the stories of people he meets along the way. Hylton said the hardest part of spending so much time on the road is doing it all solo. Sometimes it gets a little lonely, but there’s nothing else he’d rather be doing. Hylton’s latest EP, “Bag of Broken Bones,” was released Aug. 3.